With my technical background in Chemical Engineering, I provide an in-depth analysis on a wide variety of subject matter to ensure our clients receive the most sophisticated and holistic advice in patent and trade mark prosecution. I am a Technical Assistant working in our Chemistry team. My technical background is Chemical Engineering, focusing on process design/equipment, minerals & metallurgical processes, oil & gas and bioprocessing. With a background in engineering, I enjoy working with new technologies, and the depth of its science and research. During my studies at University of Melbourne, I was privileged to receive the Engineering Exchange Scholarship which took me to Tsinghua University, Beijing, to research Smart, non-harmful process design for copper-based waste catalysts. My final year thesis focused on carbon capture and DME production. Since joining Wrays I have worked on a wide variety of subject matter, including wastewater treatment, mining processes, process equipment, pharmaceuticals and biotechnology. With the benefit of the extensive experience of other practitioners at Wrays, I assist in patent and trade mark prosecution for both local and overseas clients. 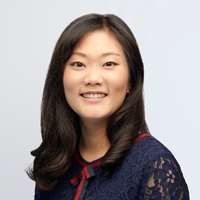 I am also proficient in Korean, and regularly assist and advise clients on matters which require working knowledge and understanding of Korean, including in the review and preparation of technical documentation. I am currently undertaking a Master of Intellectual Property, with a view to registering as a patent and trade mark attorney in the near future.